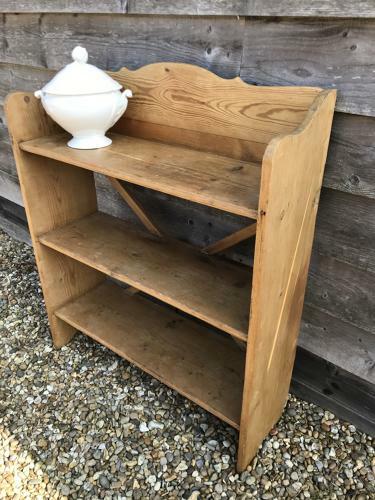 Very nice antique (c.1900) Pine Book shelves having deep shelves and cross stretcher at back. Scallopped top edge. Good and sturdy would work well for kitchen display too as would take full size dinner plates stacked flat etc.